Blowout Sale! 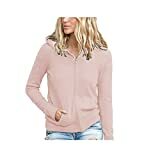 Up to 57% off on Cardigans at Felicianeo. Top brands include Umeko, PRETTODAY, A.F.Y, Made By Johnny, SimpleFun, JENNIE LIU, BETTE BOUTIK, Parisbonbon, OLRAIN, Faisean, Dearlove, joyliveCY, Antique Style, Cashmere Boutique, ARC Studio, Dutebare, 3VERY, Halife, cupcakes and cashmere, & MEROKEETY. Hurry! Limited time offers. Offers valid only while supplies last.